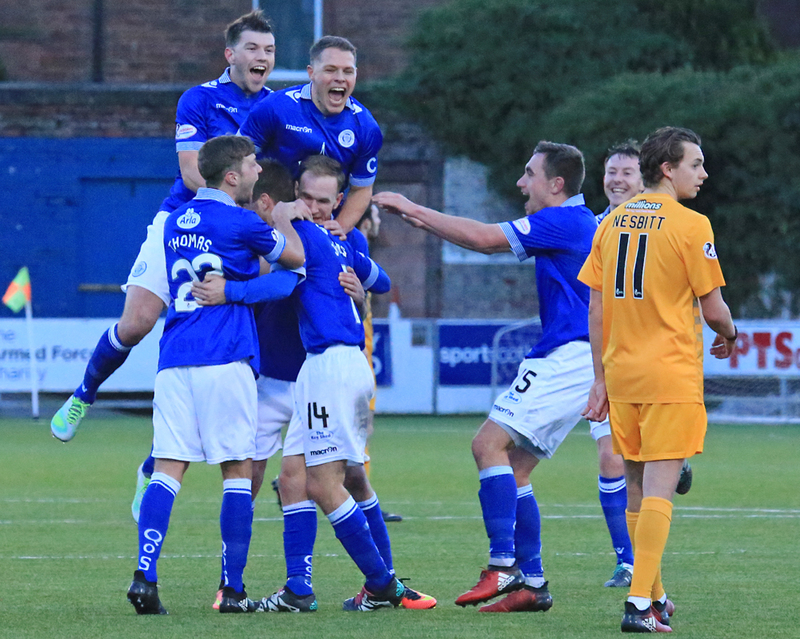 A superb second half performance saw Queens win in the league at Palmerston for the first time since September of last year and at the same time, manager, Gary Naysmith got his first home league victory as his team recorded a well deserved 3-0 win over third placed Morton. 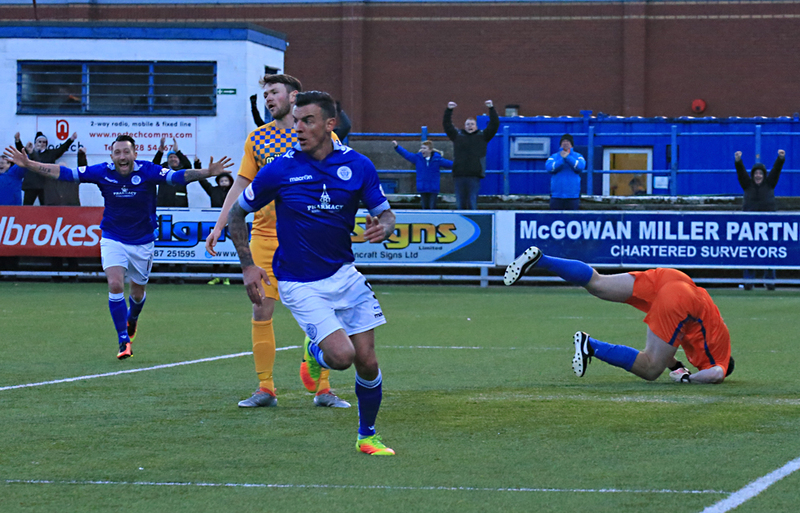 All of the goals came in the second forty-five minutes, and all three - including a first Queens goal for Kyle Jacobs - were crackers as Queens claimed some form of retribution following the drubbing they received when Morton last visited Palmerston. With Andy Dowie unavailable because of suspension, Chris Higgins started in his place, and Derek Lyle began ahead of Danny Carmichael as Queens made two changes to the eleven that had kicked off against Hibs last time out. The game started very evenly with both sides having plenty of possession but with much of the play being fought out in midfield, chances in the early phases of the game were at a premium. 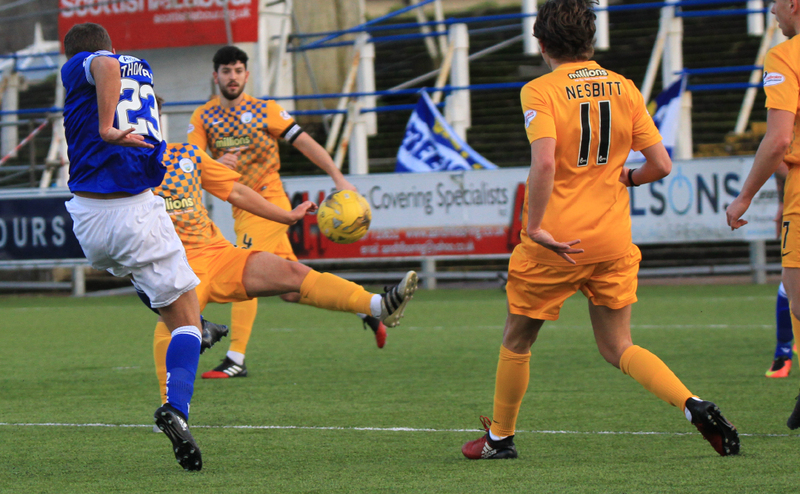 The first opportunity nearly fell for top scorer Stephen Dobbie, but Morton defender, O`Ware reacted well to block his progress, and in the next attack after exchanging passes with Derek Lyle, Dobbie dragged a right foot effort well wide of the far post. Most of Queens early attacking play came through the lively Dom Thomas down the right and his run and cross on 19 minutes led to the hosts winning their first corner of the game. Thomas himself took the kick and his delivery deep to the far post was well defended by O`Ware as he headed clear under strong pressure from both Jacobs and Lyle. 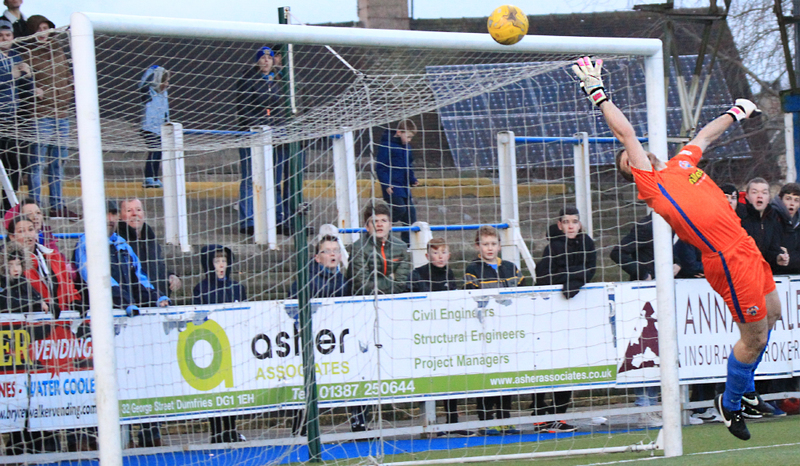 The on-loan Motherwell player was involved in the action moments later when he skipped past Nesbitt and cut inside but his shot was off the mark and caused no problems for Morton `keeper Gaston. 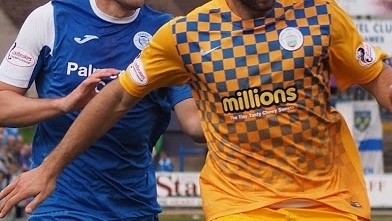 The away side replied with a quick break which eventually led to them winning their first corner, and when it was cleared for a second one , Lee Robinson was forced into action for the first time when he pushed away a header from Shankland, and although Morton got a third corner in succession, the set-piece was well defended by a well organised Queens defence. On the half an hour mark Thomas won another corner for the home side and although his cross was too deep, Darren Brownlie was able to return the ball into the box and although it was cleared it fell for John Rankin who saw his effort from 18-yards well saved by Gaston. The returning Chris Higgins became the first player to be booked following a heavy challenge on former team-mate, Gary Oliver. The resulting free-kick almost saw the visitors open the scoring when from Forbes` delivery,Shankland`s glancing header hit the outside of the post.The tackle on Oliver was a strong one, and it was a challenge that ended the game for the Morton striker whose place was taken by Kilday minutes before the interval. Queens had the last chance of the first half and it came via Joe Thomson.For much of the half, Thomson - who was very impressive against Hibs - had been in and out of the game playing in an unaccustomed wide role, but he went close to making the breakthrough when his lob cleared the `keeper but unfortunately for Queens cleared the bar as well. The home side had created the better opportunities in the first period, but as the whistle sounded to end the half, neither side had been able to find that little bit of extra quality needed to gain an advantage. Neither team made any changes at the break, and it was the visitors who began the half on the front foot. Their first attack minutes into the half saw Jordan Marshall doing extremely well to break up a promising move, and when Marshall was rather harshly adjudged to have fouled his opponent on the touchline, O`Ware should really have down better from Forbes` teasing delivery. 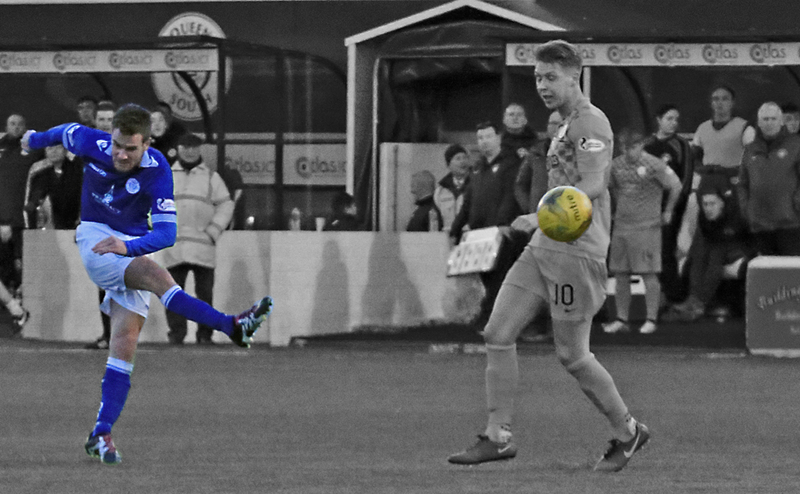 A second booking for a Queens player followed early in the half when Darren Brownlie`s challenge on Nesbitt was quite rightly punished, and as the game settled down into a pattern similar to the first half, the midfield area was overly populated. A promising break for Queens led by Dobbie saw him play the ball to Thomas and move forward hoping for a return pass, and only a fine piece of defending by O`Ware prevented the cross from Thomas picking out Queens leading marksman. The resulting corner was cleared out as far as Rankin but his low drive drew a comfortable save from Gaston.Morton midfielder, Lindsay became the third player to go into referee Madden`s book for a foul on Jacobs on halfway, and as the game slowly started to stretch, Lee Robinson had to be quickly off his line to act as sweeper as Morton Threatened. An attack at pace led by Scott Mercer down the right was only halted by a lunging challenge on him, and from the set-piece Thomas whipped in a cross that beat everyone and almost crept in at the far post, but Gaston was alert and pushed the ball to safety. 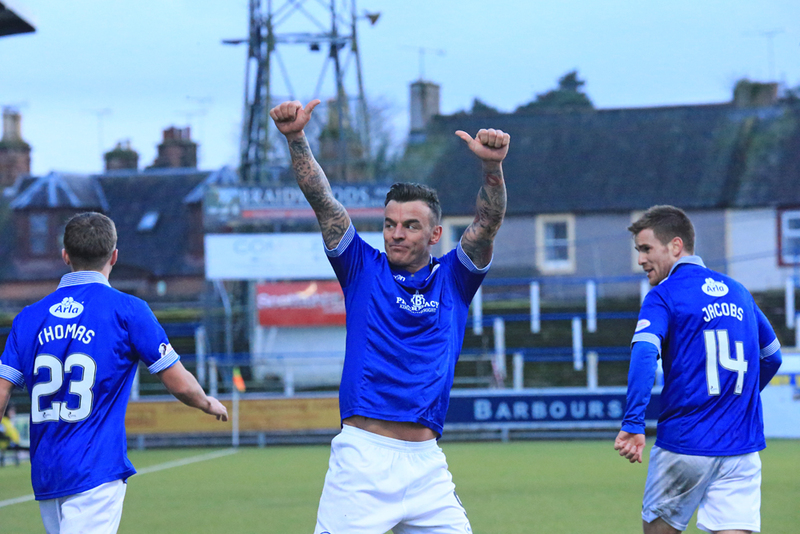 Queens had failed to score in the previous two meetings between the sides this season, but on 71 minutes the majority of the 1588 in attendance were up on their feet to applaud the breakthrough goal when Thomas produced a perfect cross that was guided past Gaston by the head of Derek Lyle - the strikers first goal since December,but very important in the context of the game. 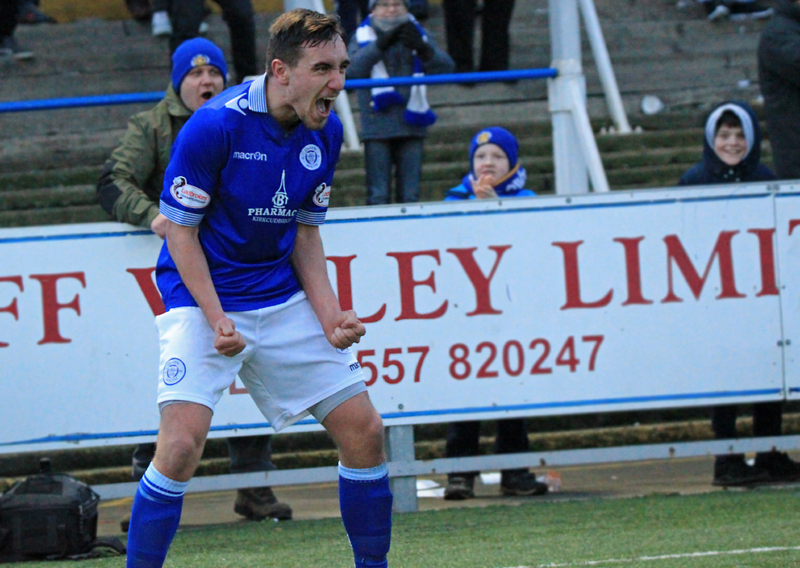 The goal meant that Morton had to chase the game if they were to continue their recent good unbeaten run, and only minutes after going ahead, Queens really should have added to their lead. A long ball over the top of the defence had Morton under pressure and although Dobbie was not favourite to reach the ball ahead of the last defender, he won the ball and was through one on one with the `keeper. It was the kind of chance that Dobbie usually puts away confidently, but credit the `keeper who stood up to make the save and then got the luck he needed when the loose ball ran to Lyle and the Queens goalscorer could only guide his shot wide of the beckoning almost open goal. Queens made their first change on 76 minutes when Lyndon Dykes replaced Dobbie, and as Morton pushed for an equaliser Forbes went very close to getting his team back into the contest, but in all honesty that was really the last meaningful chance that the visitors had to keep their unbeaten run going as for the final stages of the game it was all Queens. Scorer, Derek Lyle was replaced by young Connor Murray with 8 minutes to go and just 60 seconds later the win was just about guaranteed when some 25 yards from goal, Kyle Jacobs unleashed a rocket that flew past Gaston via the underside of the bar - a stunning way to score your first Queens goal. The third and final change for Queens saw Jamie Hamill replace Dom Thomas whose performance must have seen him be a contender to be considered as man-of-the-match. 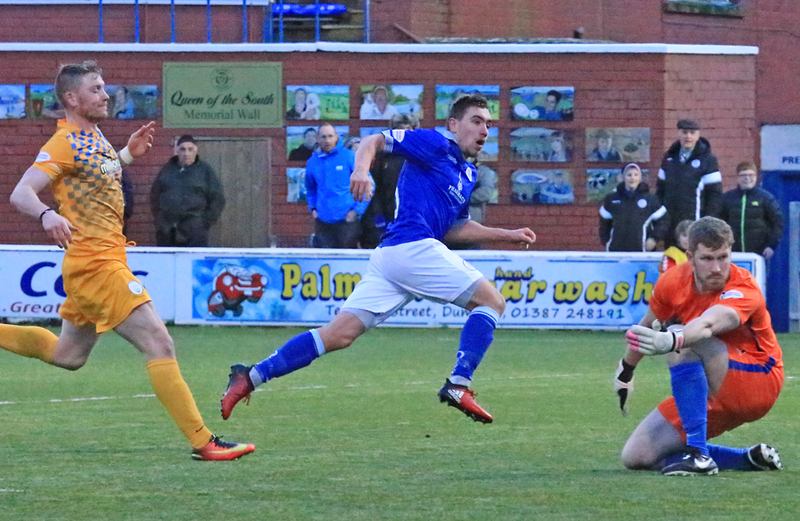 ball past `keeper Gaston to seal what was a well deserved victory for Queens. 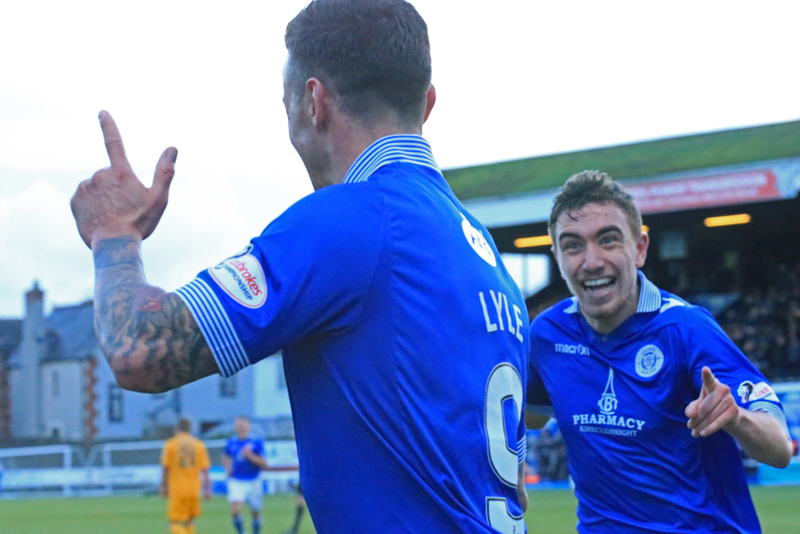 Kyle Jacobs - whose goal made him the 11th different player to score for Queens this season - was chosen as man-of-the-match, and for the first time since September 17, the home fans could celebrate a league victory at Palmerston.